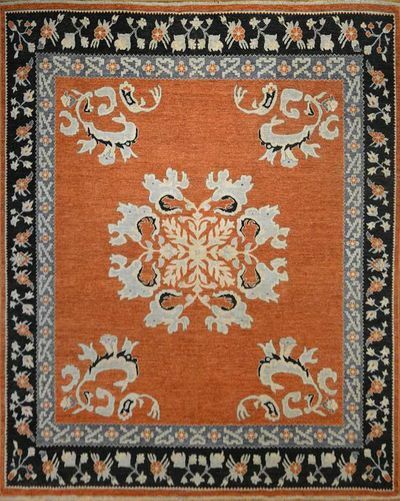 Bessarabian Wool Rug: 9'11" x 7'11"
Size in feet9'11" x 7'11"
Saturated tangerine, navy and ivory hues provide an intriguing backdrop for the ornate central medallion and floral pattern in this one-of-a-kind wool rug. 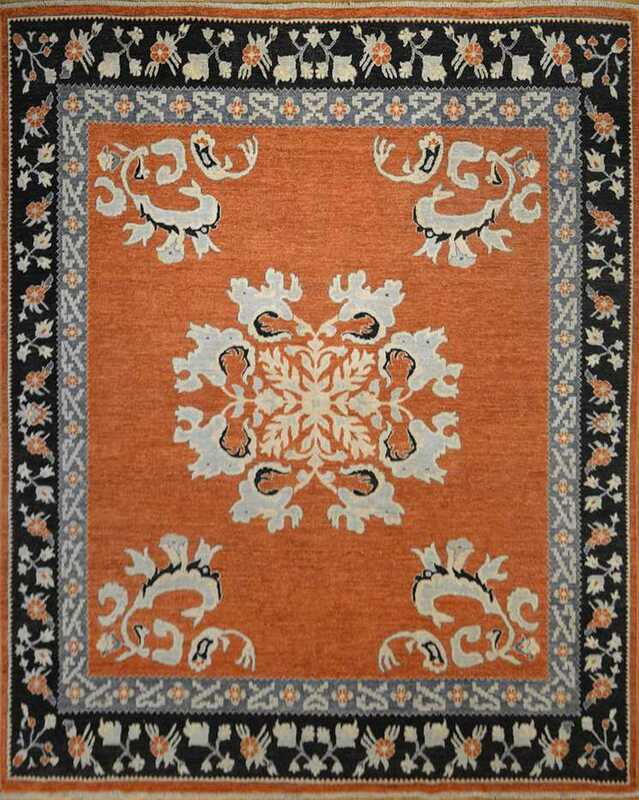 Inspired by Persian art, the traditional medallion-and-corner design of this piece have been adapted to reflect the Western aesthetic of large-scale, free-form patterns. 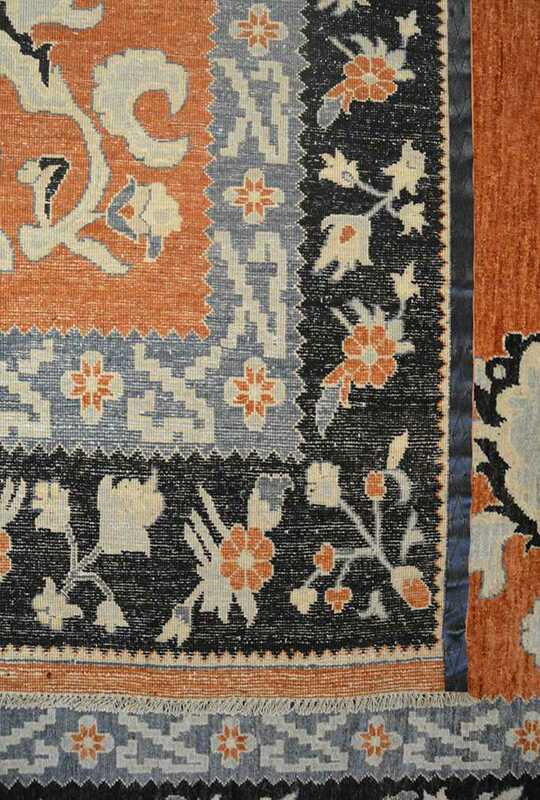 Intricately hand-knotted by individual artisans using centuries-old techniques, the vibrant palette creates a vivid composition while preserving the craftsmanship of the original design. 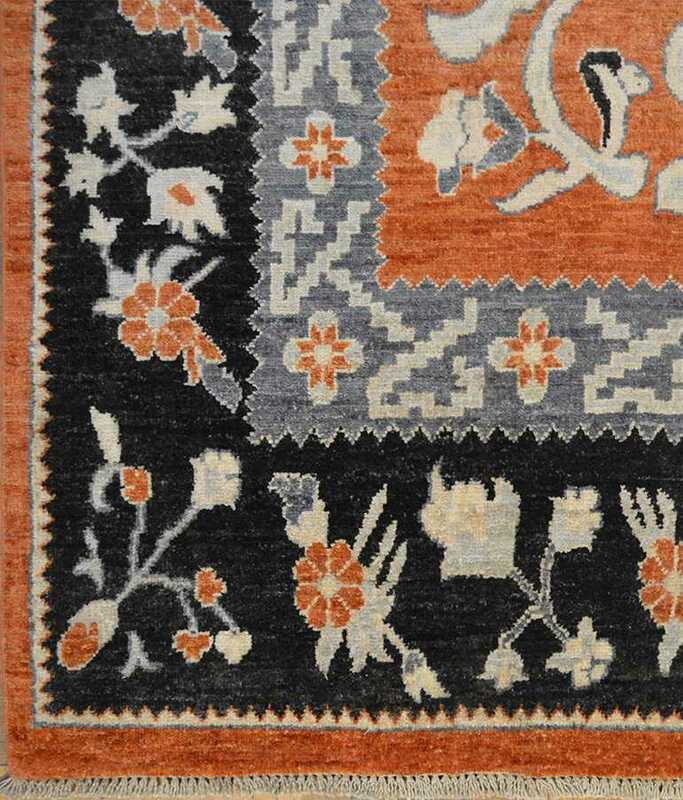 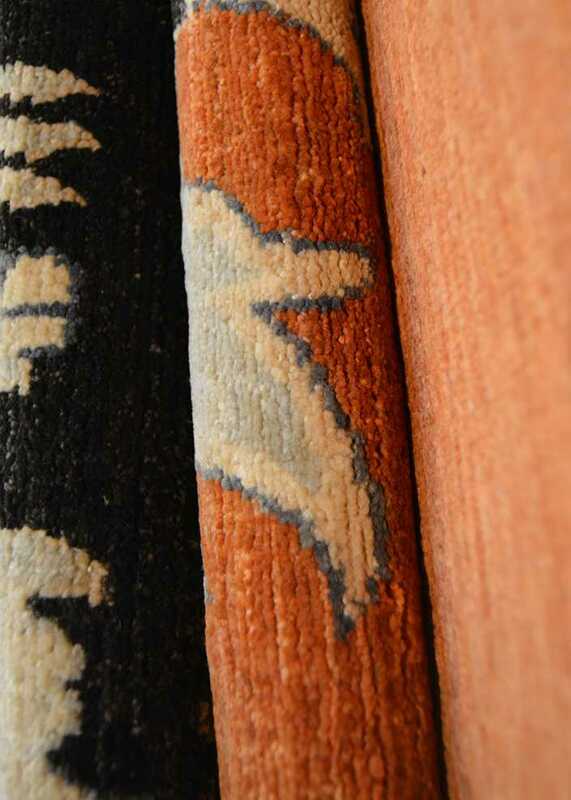 This Bessarabian carpet brings a bright bohemian touch to floors.